Greetings, it is Lord Sananda at your service. Thank you dearest One, Meleriessee, for introducing my energies, not only my energies of the Christ Consciousness, and yes, I will be part of this weekly call to bring in the frequency to just assist everyone in the balancing and energies that are going to be taking effect into each person’s being. Let’s take a deep breath and within that breath I want you to center upon your Sacred Heart. Allow the Sacred Heart to be totally open, embrace your Male and Female to be totally in balance by accepting the pink and the blue to come together. Then receive the Pink of the Female and the Blue of the Male across yourHeartCenterand allow the full entry way of the frequency and the Christ Consciousness to be fully within your Being. Allow this to enfold within you in this moment. Breathe deeply as this occurs. We would like to take a moment in this presence of frequency that has occurred in 2011, you are now ready to activate the frequency of Light that is necessary for the totality of your Being. If you are not fully ready in the Physical, Emotional or the Mental, you are going through the processes, believe me. And within these processes, we give to you the ability to fully actualize and complete the Divinity that is within you. As you complete this Divinity that is within you, you are going to be going through different stages. These stages of growth are allowing the acceleration within your Being to be fully be activated into the physical structure. You are being assisted by these processes by many different avenues. Some of these avenues are: planetary changes, emotional, mental, and physical changes, environmental changes, lifestyle changes, or how you correlate the ascension process within your physical body. By that we mean what do you do for yourself during the day to keep the balance and the grounding of the acceleration that is occurring? This is very, very important. Also, what is your Soul’s purpose, and I know many of you may not understand that on a physical level, but your Higher Self does. The best advice that I can give you is for you not to push away the entryway of all of these elements, because you do not understand. It is very, very important that you bring forth the acceptance within your Being to fully understand what is happening. Once it occurs you start to understand because then you will be reaching into your Higher Mind. The Higher Mind will take affect with the balance of the Sacred Heart within your physical body. Let’s all take a deep breath within this moment and within this breath, we fully want you to activate the Golden Flame fully starting at your Earth Star. Allow your Earth Star to be vibrant within the Golden Flame of the Christ Consciousness and allowing it to grow upwards within you first, up into your joints form your Earth Star into your toes, your feet, and moving up into your limbs, into your knees and your hips. Breathing deeply into the Cellular levels of all those organs, the elements of your ligaments, tendons, muscles, the bloodstream, the circuitry system through the veins, allowing those processes to occur for you will allow you to fully activate everything. The physical body has to be ready to receive this frequency. As we move that up, we want to go deep into the structures of the body. We want to go deep into your sexual organs and your lower, middle, and upper back into the spinal column. Moving it into the bloodstream, and all the systems that interwork with each other; the glandular systems, the circuitry system, moving into the organs, your intestinal tract, and all the inner workings that interact within your body. The Heart – allow it to go deep into the physical heart, not the soul’s heart but the physical organ allowing the structure of the valves and everything interworking in the physical body. Now going deep into the throat, allowing the energy to move into the joints of your shoulders and your neck; allow yourself to relax. The Golden Flame will transmute as the issue comes up and processed within the Christ Consciousness immediately. Feel it down into your fingertips, your joints, and your nails; up into your jaw line and into your teeth, your sinus cavities, your ear canals, your eyes and your vision; moving into your brainwaves and all aspects of your physical body. Breathe deeply within that now as you feel the vibratory change occurring within you. Now the Golden Flame moves from the Physical into the Etheric Body. Allow to go outside your body into the feeling level into where you get the sensations from the physical travel into the other realms where you can hold onto debris in the Etheric body. It now moves into all those feeling levels within the Etheric level of anything that has occurred within your physical body as it traveled into your brain waves and thought processes. Let’s cleanse and purify that area now. As you feel it go outwards, as you are expanding the energy into your Emotional body. All these emotions that have been coming up as a result of all of the activations that have occurred of the Sacred Heart energies now move outside of you into the Emotional body to purify. Then it moves into the Mental body of the thought processes of the logic. As the Golden Flame now purifies and moves back down ~ allow the Mental, Emotional, Etheric and the Physical now become One body. You are One Body of Light. You are now ready to receive the frequency as you now have prepared your physical body for the Christ Consciousness. It is our desire to really bring forth these energies in this way to assist you in the process. As 2011 is here, you have now fully arrived. It’s time for each individual person to take a moment and to think, to feel, to express within themselves what 2011 means at this point. Not what it may mean six months from now but what does it mean NOW after you have gone through these tremendous changes from the December activations to allow the arrival of the pure presence of your Light, the pure presence of your purity, the pure presence of the expression that You Are to be fully within you. Breathe that in now as you are one centered body. 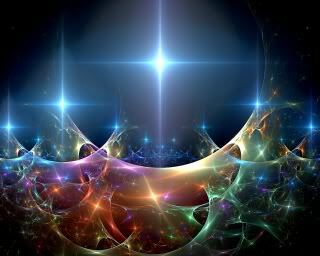 As we now ask for your Soul’s Essence of your Spiritual Body to blend with the other four bodies so they become one Unified Body of Light as the Golden Flame now moves across yourHeartCenter. Feel the vibrancy of that Golden Heart within the vibrancy of your own Heart as it all blends together in the frequency of the Christ that We Are in Oneness. Breathe deeply as you are the flame of the flames. As these flames occur within you, you start to see a shift and a movement to occur within your Being. We now open up the entryway for the Cosmic Energies to fully come in of the Divine Mother and the Divine Father, I will finish off the energies in the extension of I AM to your I AM we are One. Thank you, Lord Sananda, for bringing forth the Christ energy in a physical manner for each individual person that is part of these energies in this moment and the future. Allow this frequency to be fully within you. Allow yourself to feel the essence that you are, because you are the One. You are the One that is about to change your world. You are the One that is the embodiment of your activation to create the essence that is the power within you and within this power within you, the Rebirth is occurring. As we come upon the Lunar Eclipse from December into the Solar Eclipse of January, you now have gone through the releasements. You have allowed the emotions to come up, you have allowed the thoughts to arise, and if you are continuing with the work and the processes, along with putting your intentions out there before you go to sleep, allowing each of the energies of the Spiritual Hierarchy to assist you in whatever manner then you are doing the right thing. The preparation of this New Moon is the rebirth of more an activation than it has been previously. Some of you may be releasing in different ways. Possibly you are releasing Physically, Emotionally or Mentally. Some of you have been in family situations in the past couple of weeks that have been very, very difficult for you to handle but yet some of you are seeing these relationships getting better. Some of you are seeing others around you changing and within those changes, it is upsetting you but yet the changes are going to be positive. Some of you are going to be seeing that certain individuals that have not agreed to whom you are, and now going to come into your circle and agree with what you have become. Some of you are going to see others so distraught with what has been happening with them and they are going to make major changes within their lives which all of a sudden, they appear in your life as the Being you would truly like them to be or striving to be. Changes are happening within each individual soul; the changes are occurring with each of you in all different manners. Some of you are excited about this New Year; some of you are ready to embark; some of you are ready to forget the old; and some of you are actually not quite sure what you are feeling. So right now what we would like to do is bring forth that continuation that you have been experiencing into this New Year and know that we are here to assist you in the process of your Divinity. As you bring forth the grounding within you, you can assist so many others in this frequency. Within this week, let’s concentrate on the rebirth that is about to occur for each of you. If you have not felt it before, the capacity you are going to be feeling is much greater than you have. Within this capability of the frequencies occurring within your physical being, allow yourself to receive. Some of you may have been feeling you are depleted for the last week or so. And that is also part of the releasements. Some of you were sad over the New Year’s holiday ~ that is part of the releasements. Some of you knew that the endings were going to be the last that you were going to have to deal with and the whole new aspect of 2011 was going to fully bring you forth into the availability of the people you desire to have in your life, and some of you walking out into the world are going to be sharing Words of Wisdom that will be unbelievably powerful for others to hear. All of you are being watched and nurtured. Each of you is being guided in various ways onto the pathway you are embarking upon. Know this to be so. So in this moment what we bring to you is the Cosmic Energies of the Platinum Ray which is the silvery hues and the frequency of crystalline colors and all colors and no colors all at the same time as they circle around you in all vibrancies. As they circle around you in these different vibrancies, you start to see a transition occurring within you. Allow yourself to receive this right now within yourHeartCenter. Allow the frequency that you are ready to receive in this moment for the Rebirth that is occurring for you to be fully activated. As we activate and bring forth these frequencies, you start to see a change. You start to see an element of adaptability that you did not have before. Allow yourself to embrace what is occurring and as you fully embrace this, you will start to see how it is all coming together – the pieces of the puzzle are coming into place. You will arise to the occasion within the occasion as you bring this essence of stability within you. We incorporate within each of you right now the stability that is necessary for you to continue upon the pathway that you are striving for ` that every individual that is listening to receive the financial abundance that is necessary for their pathway ~ that they receive the Divine Love from others whether it is from colleagues, friends, family, a beloved ~ we ask them to open up their Hearts to receive the Beloveds in their life, to open up that frequency within them, to receive – to allow themselves to be fully vulnerable in the essence that they are as they no longer will have fear because the fear stops the completeness of the Beloveds that are waiting. We ask for the pathways to be open for this rebirth ~ for every individual to be able to do service to this Earth in whatever way is necessary and that they are guided, given the opportunities for financial wealth, to travel, to do whatever is necessary to spread the word of their wisdom to others. As we come together in Unison right now, allow us to be One Heart within all Hearts as we bring forth the Oneness of the Creative Source within the frequency that we are all together. Allow yourself now to receive this attunement, allow yourself to receive this activation fully within your Heart’s center. Allow it to vibrate through your Mental, your Emotional, and your Etheric and your physical. Allow it to go into the cellular memory and allow yourself to REMEMBER. Allow yourself to receive; allow yourself to accept; to accept the Divinity of your Life’s Purpose as it was intended in the beginning. We are that we Are, We are One together, We bring forth this Oneness in this moment as we bring the Cosmic Energy through the Multi Universal into the Universal through Galactic, the Solar and down into the Planetary so that all the elements of the Spiritual Hierarchy are One Within the Source of our Hearts. It is our pleasure right now to bring forth this activation of the Cosmic Energies into your physical being for you to fully ground it all the way down into your toes and centering it into all aspects of your Being through your fingertips and your Crown. Allow those frequencies to permeate health, wealth, abundance, prosperity, acceptance love, joy, serenity, completely, compassion, bliss, and acceptance with You. Breathe deeply within that and allow it to be. This is Lord Sananda. Let’s just take a deep breath and allow those frequencies that have been attuned to your Being to fully incorporate within you and allow yourself to be fully activated. Accept the activation and embrace the activation; allow yourself to be fully embraced with love, joy, and bliss as you have brought forth the remembrance of your Soul’s essence within your physical body in this moment. Breathe and have gratitude that you are here to receive in this moment- that you have the awakening, and that you be able to share this awakening with others. We bless you during this New Moon of this week of allowing this rebirth to fully be within you. Nurture yourself, embrace yourself, and allow yourself to fully know that you are the Creator and the destiny that is enfolding within your life. We, of the Christ Consciousness, embue these energies onto you for you also to remember and to share with others. In the Light of the Christ, I Am Lord Sananda at your Service.